Single Carrot Theatre Artistic Director Genevieve de Mahy has arrived safely in Budapest for dunaPart3 – Hungarian Showcase of Contemporary Performing Arts. She’s giving updates in the form of Top 5 lists, and she’s sharing her lists here. Stay tuned for further updates on the festival, her travels, and all things Hungary. When the Dunapart festival was last held two years ago, there was a comment from the American contingent about a lack of female voices and female directors, plus a lot of sexism and sexual harassment of women on stage. Hungary is battling with very strong and prevalent sexism. 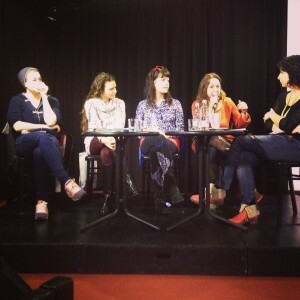 Earlier in the festival, I listened to a panel of female directors in Hungary and all of them were my age or younger. This newest generation of theater-makers are some of the first female directors in Hungary. Yes, the first. 3. Panni Neder, a director now living in Berlin, spoke articulately on the panel of women director’s in Hungary. Her difficult experiences in the Hungarian theatre system added perspective on the cultural differences regarding feminism in comparison to Germany. 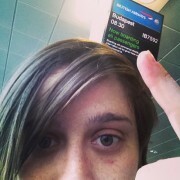 Single Carrot Theatre Artistic Director Genevieve de Mahy has arrived safely in Budapest for dunaPart3 – Hungarian Showcase of Contemporary Performing Arts. She’s giving updates in the form of Top 5 lists, and she’s sharing her first list here. 1. Hungarians are very active theatre goers. The population of the country is 10 million and there are 6,800,000 theater tickets sold per year. It is estimated that 10-12% of the population regularly see theatre. 2. There are 25,000 theatre performances per year. Hungary, like much of Europe, functions on a repertory model. A play will be open for years and perform a few times a month for years. Theatres frequently have shows running nearly every day of the week, but rotate the shows playing at their theatre, so each day, they are changing over from one show to another. Think of a band that plays at a venue every second and fourth Thursday. All theatre functions on that model. 3. There are 376 registered performing arts organizations, but only some of them receive state funding. There are theatres that are defined as state institutions, who receive full support from the government. Then, there are independent theatres, that have to apply for remaining state funding or other foundational support. Hungary does not have a tradition of philanthropy, so individual donations is not something that theatres can rely on for funding. This can make it challenging for the large independent theatre scene in Hungary, who all have to compete against each other for a limited pool of state funding. Some of it is even lottery based so theatres may have to close if they do not receive state funding one year because there are not other significant funding streams. 4. Artistic Directors of the state theaters are government appointed positions. With the current right wing government, this has caused greater censorship of work produced in the state theatre system and a focus on traditional values. 5. Theatres in Hungary has strong and diverse educational theatre practices. It is an expectation that theatres will be active in educating children with theatre programs.